I'm back in DC for the final week before I leave for my summer stay in New York. Yet again, the weather is horrible and it has been raining on and off in DC since my arrival. When will it just be warm and sunny??? These photos were taken before I left home as you all can probably guess from the setting. It was so hard to leave home again and I already miss my family, but I'm excited about the adventures that I'll be having this summer. I recently cleaned and organized my wardrobe in the spirit of spring cleaning, figuring out what items I have and what things I want to give away. I actually love organizing my wardrobe and pulling out my spring and summer pieces because I find so many pieces that I completely forgot that I owned and it allowed me to figure out what I need to get. While home, I was able to do a lot of summer shopping and am almost satisfied with my current summer collection of clothing. I recently purchased these booties at a steal while out shopping. I saw them in Forever 21 and was amazed at the great price and quality of these shoes, and there sooo comfortable even though they have a significant heel. I definitely think these will turn into one of my go to pairs of shoes for the summer. As always, if you have any request or ideas of what type of posts you would like to see on my blog, email me or just comment and let me know! 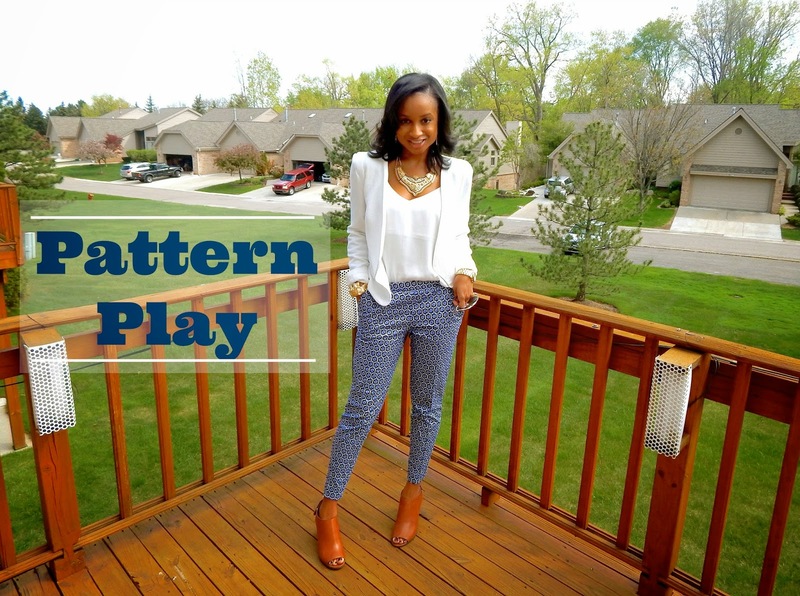 I love the printed pants with the white on white top! It's simple perfection.